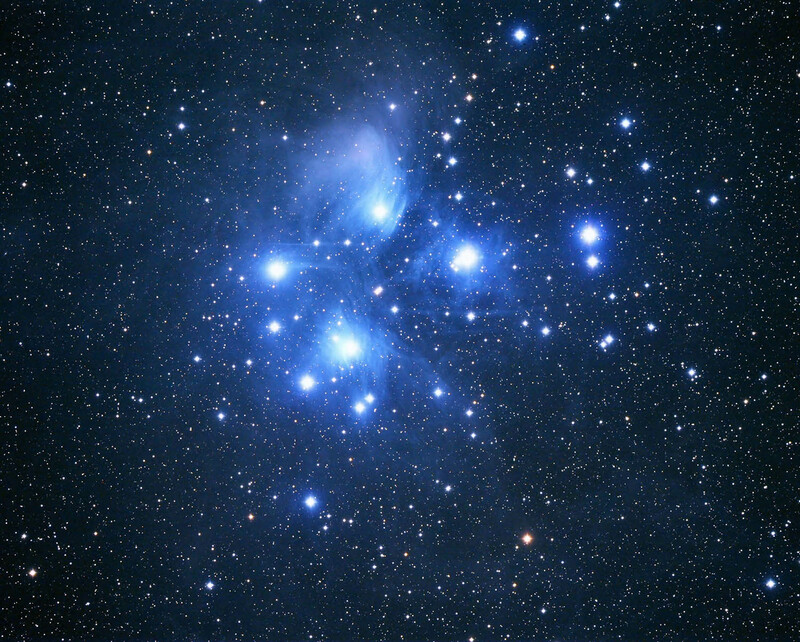 The Pleiades star cluster, also known as the seven sisters, is located in the constellation Taurus. At a distance of 410 light years it is a relatively nearby open cluster easily visible to the naked eye. The best time of year to see the Pleiades star cluster is in late fall through winter. Look for a faint cluster in Taurus which can be found just above Orion. The faint blue nebulosity surrounding the stars shine by reflected star light. This nebulosity is mostly hydrogen gas which acts like a cocoon surrounding these very young stars. The faint blue nebula can be seen on very clear nights through a telescope or large binoculars.